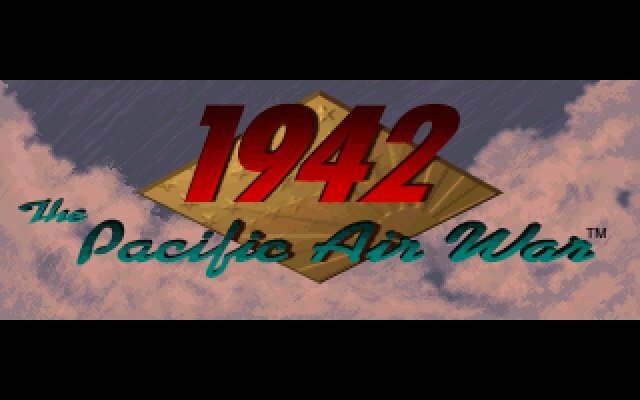 As the name implies, 1942: The Pacific Air War covers the most intense period of fighting between the US and Japan during the war, starting in May 1942 at the Battle of the Coral Sea and running until June 1944 at the Battle of the Philippine Sea. 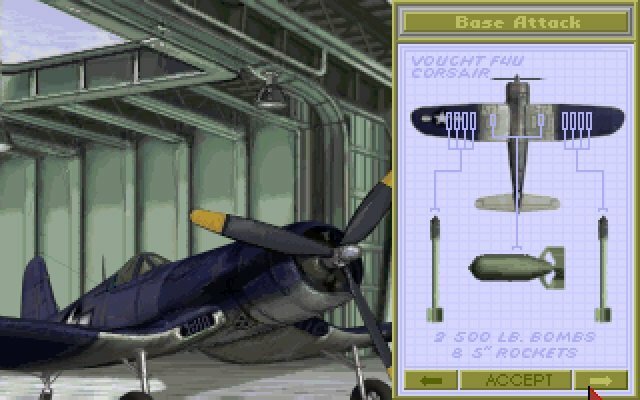 Ten aircraft in all are modeled from both sides – the A6M2 Zero, B5N Kate, D3A Val for the opposing force, and F4F Wildcat, F4U Corsair, SB2 Helldiver, SBD3 Dauntless, TBD1 Devastator and TBF Avenger for the US. 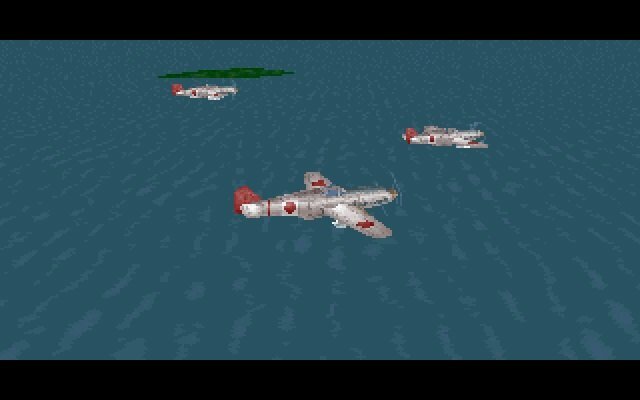 As with many flight sims of the time, 1942 features a 3D engine with poly-based models and environments, but the game goes far beyond the standard WW2 combat seen in its contemporaries. 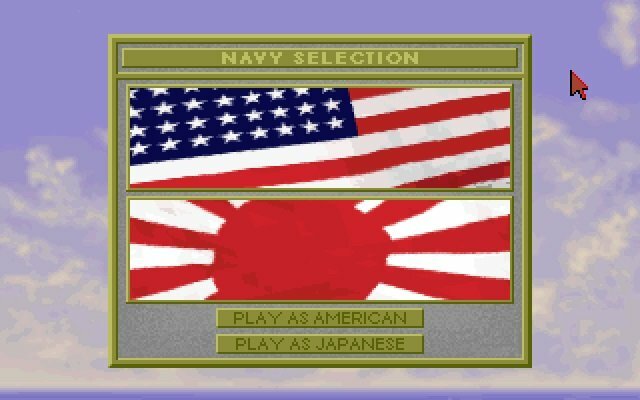 With 1942’s naval focus, it lets you run a carrier battle from an admiral’s point of view, controlling the ship movements, setting the carrier and land land-based combat sorties, and sending out recon planes. 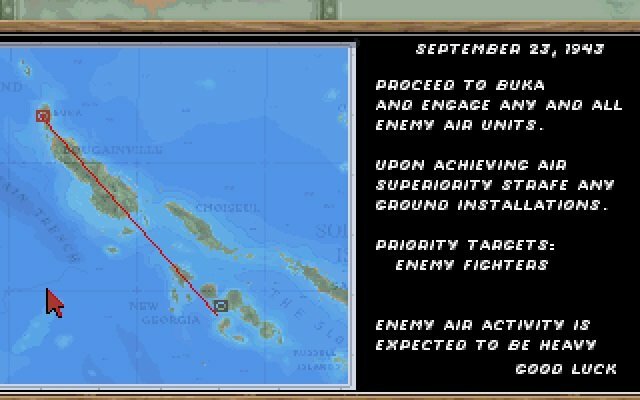 Once the enemy is located, you can form launch strikes from both carriers or island airfields. You can then take direct control of those planes. 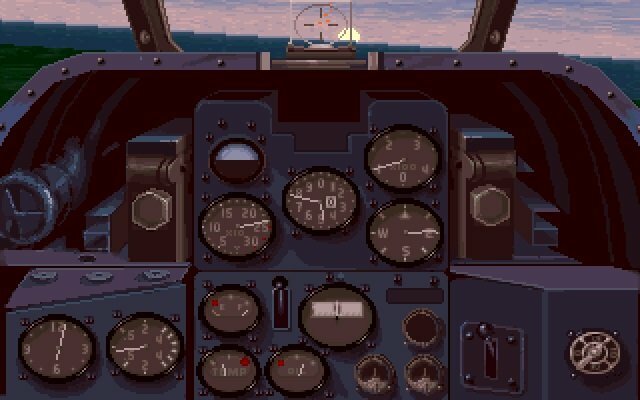 All of this gameplay is realistic and nicely represented for its time. 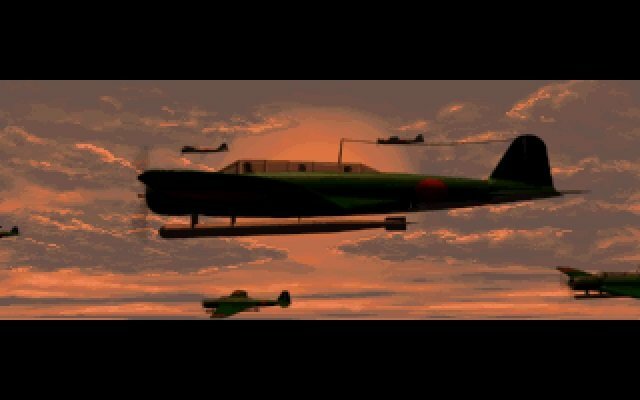 But where 1942 truly excells is at its graphics, specifically with the implementation of its virtual cockpit. 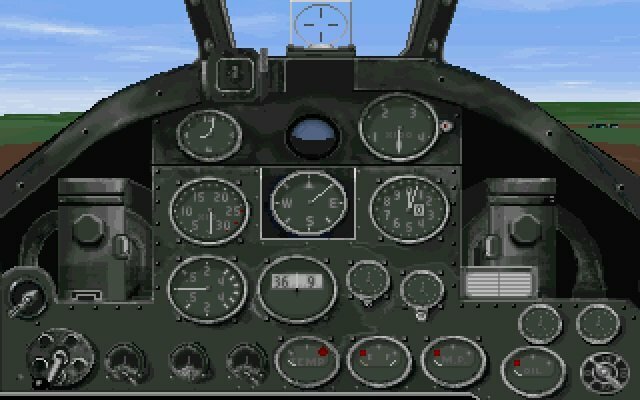 This feature allows you to jump between the standard nose-view of an aircraft’s cockpit and a less detailed but true 3D view of the entire cockpit. 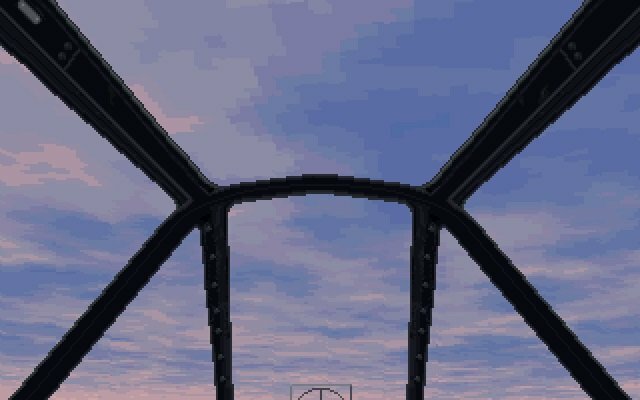 The instrumentation is all there, but now you can pan the camera around and look in all directions as you would in a real plane. 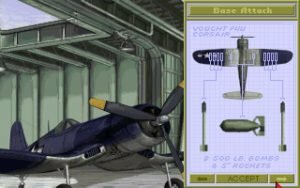 More importantly, it’s a wonderful system that lets you ‘padlock’ targeted enemy aircraft so you always have an idea where they are in relation to your own position. 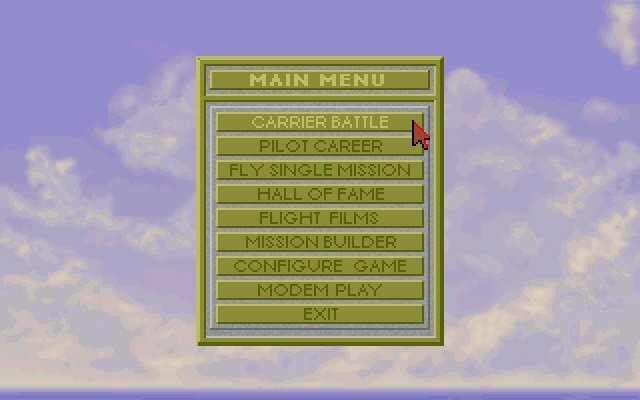 All following flight sims used this feature for years to come.